6sigma.com in Wellington, New Zealand offers Lean Six Sigma Training and Certification courses in: White Belt, Yellow Belt, Green Belt, Black Belt and Master Black Belt. We also offer Certification and Training courses in Wellington, New Zealand for: Lean Six Sigma, Design for Six Sigma, Green Process Management and Minitab. The regional unemployment rate of Wellington, New Zealand, hit an all time high in December last year, and has risen sharply to 7.9 from 7.1 percent in a dramatically short period. The last time employment became this bad in the Wellington region was in the September of 1994, hitting 8 percent. The unemployment rate has become a problem for many individuals that migrate to the region in search of better jobs and higher salaries. While the unemployment has improved majorly in areas like Auckland, Wellington still has to deal with a massive workforce and a limited number of jobs that can compensate. While the country’s largest city no longer remains a concern in terms of economic growth, Auckland may still be very far ahead of Wellington when it comes to the employment industry. 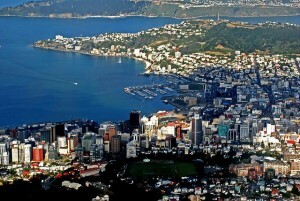 The statistics by no means suggest that there is no opportunity within the Wellington region; it only indicates that the jobs that do exist will be filtering candidates quite comprehensively when hiring, and individuals need to come prepared with the right tools and certifications to make an impression on the employer. This brings us to the Lean Six Sigma Training program, a business methodology that is being implemented by some of the biggest organizations to reduce overhead costs and increase productivity. A Six Sigma Certified individual is not only more skilled than other candidates, but they can benefit the organization that hires them to a great extent. Lean 6 Sigma Certification is a methodology for business process optimization that was first introduced by Motorola back in 1986. The news of the doctrine spread like fire, and today, a major percentage of all the organizations around the world implement the doctrine to increase their productivity and reduce expenditures. The success of the Lean Six Sigma Training program lies in its ability to eradicate the errors that can occur during the performance of any business task and to reduce the associated costs that come with every project. When you look for a training company to become a Lean 6 Sigma certified individual, there are a number of factors that need serious consideration before you can even apply. The first thing that must never be overlooked is whether the company is offering all five levels of expertise; White, Yellow, Green, Black and Master Black belts. The choice of which lean six sigma training certification you should opt for depends upon your current set of skills. Once you find a company that is offering all the levels, try to gain everything you can from the lean six sigma training process to enhance your skill set and get hired at a much higher salary, in any organization in Wellington, New Zealand–even in any organization of the world. Located in the heart of Wellington’s CBD, the Plimmer Towers office space is in one of Wellington’s most desirable locations; situated in the north-east of Gilmer Terrace and Boulcott Street, down Plimmer Step. With a short walk to Lambton Quay and immediate vehicle access to the Terrace and motorways and being well serviced by public transport, it’s hard to find a better positioned office space, with an impressive street perspective, and panoramic views over Wellington and harbour. Overlooking the waterfront and the Golden Mile, the office space is a pivotal hub surrounded by some of the best cafés, restaurants and bars, and offering access to the premier retail strip and links to Boulcott Street. 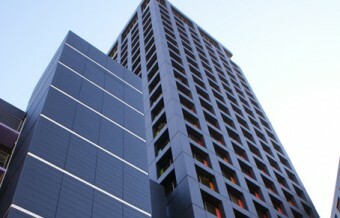 Plimmer Towers includes retail, a 4 Star Travelodge Hotel, and multi-level car parking with 24/7 access. Plimmer Towers is classified as a low earthquake risk under NZSEE Rating and includes sustainable features such as energy efficient lighting and intelligent lighting controls.